Lawrence Broxmeyer | Lawrence Broxmeyer M.D. The TSE’S or transmissible spongiform encephalopathies, include bovine spongiform encephalopathy (also called BSE or “mad cow disease”), Creutzfeldt– Jakob disease (CJD) in humans, and “scrapie” in sheep or goats (caprine spongiform encephalopathy). They remain a mystery, their cause still hotly debated. Current mad cow diagnosis lies solely in the detection of late appearing “prions”, an acronym for hypothesized, geneless, misfolded proteins, somehow claimed to cause the disease. Yet laboratory preparations of prions contain other things, which could include unidentified bacteria or viruses. And the only real evidence that prion originator Stanley Prusiner had in his original paper that the disease agent behind “Scrapie” in sheep and goats was devoid of DNA or RNA– was based upon the fact that he couldn’t find any. 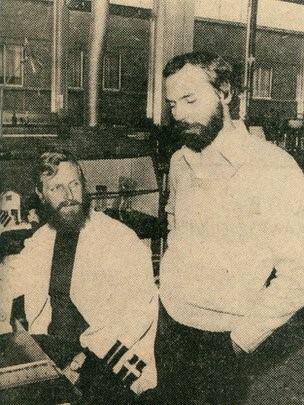 Furthermore, the rigors of prion purification alone, might, in and of themselves, have killed any causative microorganism and Heino Dringer, who did pioneer work on their nature, candidly predicts “it will turn out that the prion concept is wrong.” Roels and Walravens as well as Hartly traced Mad Cow to Mycobacterium bovis. Moreover, epidemiologic maps of the origins and peak incidence of Mad Cow in the UK, suggestively match those of England’s areas of highest bovine tuberculosis, the Southwest. The neurotaxic potential of bovine tuberculosis has for some time been well known. By 1911 Alois Alzheimer called attention to “a characteristic condition of the cortical tissue which Fischer referred to as ‘spongy cortical wasting” in Alzheimer’s disease (AD). But behind AD, Fischer suspected a microbe called Streptothrix which was constantly being mistaken and confused for tuberculosis. Our present investigation of the TSEs clearly shows cell-wall-deficient (CWD) tubercular mycobacteria present, verified by molecular analysis, ELISA, PCR and microscopy to cause spongiform encephalopathy. 1 Curto M, Reali C, Palmieri G, Scintu F, Schivo ML, et al. (2004) Inhibition of Cytokines Expression in Human Microglia Infected with Virulent and Nonvirulent Mycobacteria. Neurochem Internat 44: 381-392. 2 Broxmeyer L, Sosnowska D, Miltner E, Chacón O, Wagner D, et al. (2002) Killing of Mycobacterium avium and Mycobacterium tuberculosis by a mycobacteriophage delivered by a nonvirulent mycobacterium: a model for phage therapy of intracellular bacterial pathogens. J Infect Dis 186: 1155-1160. 3 Randall PJ, Hsu NJ, Lang D, Cooper S, Sebesho B, et al. (2014) Neurons are host cells for Mycobacterium tuberculosis. Infect Immun 82: 1880-1890. 4 Manuelidis EE, Manuelidis L (1989) Suggested Links Between Different Types of Dementias: Creutzfeldt-Jakob disease, Alzheimer disease, and Retroviral CNS Infections. Alzheimer Dis Assoc Disord 3: 100-109. 5 Stockman S (1911) The habits of British ticks found on sheep and cattle. J Comp Pathol 24: 229-37. 6 Fischer O (1911) The spongious loss of the bones, a special process of destruction of the cerebral cortex. Z ges Neurol Psychiat 7: 1-33. 7 Babes V, Levaditi C (1897) On the Actinomycotic Shape of the Tuberculosis Bacilli (Sur la Forme Actinomycosique du Bacilli de la Tuberculosis). Arch of Med Exp et D’anat 9: 1041-1048. 9 Chauveau A: Transmission of virulent diseases by the ingestion of virulent principles in the digestive tract. Gaz de Paris: p 45. 11 Gerlach AC (1870) On the inoculability of tuberculosis and the perilla, and on the transferability of the latter by feeding. Virchows Arch F path Anat 11: 297. 12 Pfeiffer DU (1994) The role of a wildlife reservoir in the epidemiology of bovine tuberculosis. Massey University, Dept of Veterinary Clinical Sciences, New Zealand. 13 Bourne J, Donnelly C (2001) An epidemiological investigation into bovine tuberculosis third report of the Independent Scientific Group on Cattle TB. 14 Francis J (1947) Bovine Tuberculosis: Including a Contrast with Human Tuberculosis. Staples Press Limited, London: p 220. 15 Taubes G (1986) The game of the name is fame. But is it science? Discover 7: 28-52. 16 Hadlow WJ, Prusiner SB, Kennedy RC, Race RE (1980) Brain tissue from persons dying of Creutzfeldt-Jacob disease causes scrapie-like encephalopathy in goats. Ann Neurol 8: 628-631. 17 Griffith JS (1967) Self-replication and scrapie. Nature 215: 1043-4. 18 Prusiner SB (1995) The prion diseases. Sci Am 272: 48-51. 19 Pethe K, Bifani P, Drobecq H, Sergheraert C, Debrie AS, et al. (2002) Mycobacterial heparin-binding hemagglutinin and laminin-binding protein share antigenic methyllysines that confer resistance to proteolysis. Proc Natl Acad Sci USA 2002 99: 10759-10764. 20 Tsubuki S, Takako Y (2003) Dutch, Flemish, Italian and Arctic mutations of App and resistance of Abeta to physiologically relevant proteolytic degradation. Lancet 361: 1957-1958. 21 Lasmézas CI, Deslys JP (1997) Transmission of the BSE agent to mice in the absence of detectable abnormal prion protein. Science 275: 402-405. 22 Baker CA, Martin D, Manuelidis L (2002) Microglia from Creutzfeld– Jakob disease-infected brains are infectious and show specific mRNA activation profiles. J Virol 76: 10905-10915. 23 Botsios S, Manuelidis L (2016) CJD and Scrapie Require Agent- Associated Nucleic Acids for Infection. J Cell Biochem 117: 1947-1958. 24 Abalos P, Retamal P (2004) Tuberculosis: a re-emerging zoonosis? Rev Sci Tech 23: 583-94. 25 O’Reilly LM, Daborn CJ (1995) The epidemiology of Mycobacterium bovis infections in animals and man: a review. Tuber Lung Dis 76: 1-46. 27 Mattman LH (2001) Cell Wall Deficient Forms: Stealth Pathogens.CRC Press 3 (416). 28 Xalabarder C (1958) Electron microscopy of tubercle bacilli. Excerpta Medica. Sec XV Chest Dis 11: 467-473. 29 Xalabarder C (1963) The Nature of So-Called Atypical Mycobacteria. Neumol Cir Torax 24: 259-74. 32 Zhang Y, Yang Y, Woods A, Cotter RJ, Sun Z (2001) Resuscitation of dormant Mycobacterium tuberculosis by phospholipids or specific peptides. Biochem Biophys Res Commun 284: 542-547. 33 Marcova N, Slavchev G, Michailova L (2012) Unique biological properties of Mycobacterium tuberculosis L-form variants: impact for survival under stress. Int. Microbiol 15: 61-68. 34 Shleeva MO, Mukamolova GV, Telkov MV, Berezinskaia TL, Syroeshkin AV et al. (2003) Formation of nonculturable Mycobacterium tuberculosis and their regeneration. Mikrobiologiia 72: 76-83. 35 Prusiner SB (2014) Madness and Memory: The Discovery of Prions – A New Biologic Principle of Disease. Yale University Press. 36 Hass G, Huntington R (1943) Amyloid. III The properties of amyloid deposits occurring in several species under diverse conditions. Arch Pathol 35: 226. 37 Schwartz P (1972) Amyloid degeneration and tuberculosis in the aged. Gerontologia 18: 321-362. 38 Delgado WA (1997) Amyloid deposits in labial salivary glands identified by electron microscopy. J Oral Pathol Med 26: 51-52. 39 de Beer FC, Nel AE (1984) Serum amyloid A protein and C-reactive protein levels in pulmonary tuberculosis: relationship to amyloidosis. Thorax 39: 196–200. 40 Tomiyama T, Satoshi A (1994) Rifampicin prevents the aggregation and neurotoxicity of amyloid B protein in vitro. Biochem Biophys Res Commun 204: 76-83. 41 Chauhan A, Madiraju MV, Fol M, Lofton H, Maloney E, et al. 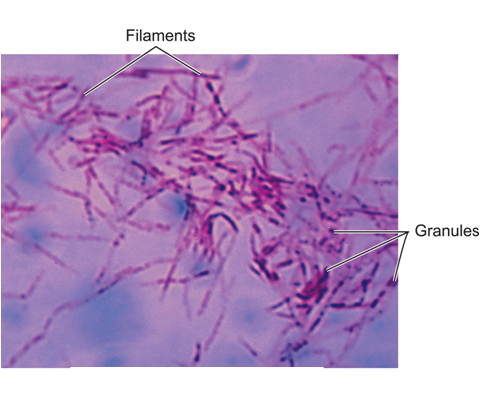 (2006) Mycobacterium tuberculosis Cells Growing in Macrophages Are Filamentous and Deficient in FtsZ Rings. J. Bacteriol 188: 1856-1865. 43 Thacore H, Willett HP (1966) The formation of spheroplasts of Mycobacterium tuberculosis in tissue culture cells. Am Rev Respir Dis 93: 786-796. 44 Lysenko AP, Vlasenko AP, Broxmeyer L (2014) Phenomenon of variability of mycobacteria and its use for detection of a tuberculosis infection. 45 Lysenko AP, Vlasenko VV, Broxmeyer L, Lemish AP, Novik TP, et al. (2014) The tuberculin skin test: how safe is safe? 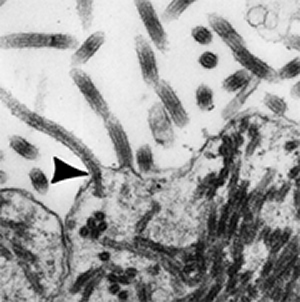 The tuberculins contain unknown forms capable of reverting to cell-wall-deficient mycobacteria. Clinical and Experimental Medical Sciences 2: 55-73. 46 Lysenko AP, Broxmeyer L, Vlasenko V, Krasochko PA, Lemish AP, et al. (2016) Further evidence for Cancer as Cell-wall-deficient Mycobacterial Disease. J Mol Pathol Epidemiol 1: 1-12. 47 Lysenko AP, Vlasenko VV, Lemish AP (2014) Detection of mycobacteria in tis- sues by means of the differentiating immunoperoxidase staining. Tuberculos i bolezni legkhih. 10: 55-58. 48 Harry EJ (2001) Bacterial cell division: regulating Z-ring formation. Mol Microbiol 40: 795-803. 49 Errington J, Daniel RA, Scheffers DJ (2003) Cytokinesis in bacteria. Microbio Mol Biol Rev 67: 52-65. 50 Xalabarder C (1970) L-forms of chronic mycobacteria and nephritis. Publ Inst Antituberc(Barcelona) Supple 7:7-83. 51 Seidel B, Thomzig A, Buschmann A, Groschup MH, Peters R, et al. (2007) Scrapie agent (strain 263K) can transmit disease via the oral route after persistence in soil over years. PLoS One 2: e435. 52 Ghodbane R, Mba Medie F, Lepidi H, Nappez C, Drancourt M (2014) Long-term survival of tuberculosis complex mycobacteria in soil. Microbiology 160: 496-501. 53 Insanov AB, Gadzhiev FS (1996) Comparative Analysis of the Results of Spinal Fluid Microbiological Study in Children and Adults Who Suffered from Tuberculous Meningitis. Probl tuberk. 5: 25–28. 54 Slavchev G, Michailova L, Markova N (2013) Stress-induced L-forms of M. bovis: challenge to survivability. New Microbiologica 36: 157-166. 55 Calmette A, Valtis J, Lacomme A (1928) New experimental research on tuberculous ultravirus. CR Acad Sci 186: 1778-1781. 56 Xiao X, Miravalle L, Yuan J, McGeehan J, Dong Z, et al. (2009) Failure to Detect the Presence of Prions in the Uterine and Gestational Tissues from a Gravida with Creutzfeldt – Jakob disease. Am J Pathol 174: 1602-1608. 57 Brieger EM (1949) The Host Parasite Relationship in Tuberculous Infection. Tubercle 30: 242-253. 58 Brieger EM, Glauert AM (1952) A Phase-Contrast Study of Reproduction in Mycelial Strains of Avian Tubercle Bacilli. J Gen Microbiol 7: 287-294. 59 Prusiner SB (2004) Development of the Prion Concept. Prion Biology and Diseases, Cold Spring Harbor Laboratory Press: pp 89-141. 60 Pattison IH (1988) Fifty years with scrapie: a personal reminiscence. Vet Rec 123: 661-666. 61 Pattison IH, Jones KM (1967) The possible nature of the transmissible agent of scrapie. Vet Rec 80: 7. 62 Gerston KF, Blumberg L, Tshabalala VA, Murray J (2004) Viability of mycobacteria in formalin-fixed lungs. Hum pathol 35: 571-575. 63 Vinnie DS, Mary R (2002) Does formaldehyde kill Myco tuberculosis? Tech Bull Histopath 2: 37-38. 64 Alzheimer A, Forstl H, Levy R (1991) On Certain Peculiar Diseases of Old Age. History of Psychiatry 2: 71-101. 65 Goedert M (2015) Alzheimer’s and Parkinson’s diseases: The prion concept in relation to assembled Aß, tau and α-synuclein. Science 349: 1255555. 67 Mawanda F, Wallace R (2013) Can infections cause Alzheimer’s disease? Epidemiol Rev 35: 161-80. 68 Alteri CJ, Xicahténcati-Cortes J, Hess S, Caballero-Olin G, Girón JA,et al. (2007) Mycobacterium Tuberculosis Produces Pili during Human Infection. Proc Natl Acad Sci USA 104: 5145-5150. 69 Jordal PB, Dueholm MS, Larsen P, Petersen SV, Enghild JJ, et al. (2009) Widespread abundance of functional bacterial amyloid in mycolata and other gram-positive bacteria. Appl Environ Microbiol 75: 4101-4110. EBOLA, OR AFRICAN STRAINS OF TB? Today, the Ebola, and for that matter the Marburg virus have assumed general acceptance. Yet according to David Rasnick, PhD, a previous member to the Presidential AIDS Advisory Panel of South Africa, there is no convincing evidence, and “certainly no confirmatory evidence of human isolation”, in either case. This is ― to be certain ― not only a direct challenge that the “Ebola” is behind the current Ebola outbreak ― but that the virus is pathogenic at all. Nor is Rasnick alone. If the virus called Ebola is not causing the current epidemic, then what is? “Diagnosing Ebola in a person who has been infected for only a few days is difficult, because the early symptoms, such as fever, are nonspecific to Ebola infection and are seen often in patients with more commonly occurring diseases, such as malaria and typhoid fever.”1 Only a sin of omission. then, would explain why anyone or any group would not want to specifically mention the most commonly occurring cause of infectious death in Africa ― tuberculosis ― whose sky-high rates in West Africa make Ebola look like a dropper-full of water squeezed into the Mississippi. If by October, 2014, Ebola had laid claim to what WHO (the World Health Organization) claimed was well over 4,000 deaths since its February outbreak2 ― certainly this ought to be weighed in the light of the approximately 600,000 Africans slain by TB during the same window of time.3 Furthermore, if by October 17th, 2014 world-wide Ebola mortality stood at 4,811 then surely 81% of these deaths took place in Liberia and Sierra Leone. While Librarian health officials warned4 as early as 2009 that TB was skyrocketing out-of-control ― a mixed scientific coalition from Sierra Leone and Germany cautioned that Sierra Leone’s tuberculosis level was not only the highest in West Africa, but filled with resistant strains of TB and tuberculous Mycobacterium Africanum that had “reached an alarming level”…..raising the question of possible consequences” for a future new TB epidemic.”5 Indeed almost half of all TB cases in the West African Ebola zone are caused by such Mycobacterium africanum ― an unusual, yet just as deadly member of the tubercular family, exclusive to West Africa ― and fast becoming a microbe of great public ― and now global concern. That tubercular M. africanum can and has already caused tuberculosis in the United States is a matter of record.6 Furthermore, there is a body of evidence that africanum requires more sustained contact, even among household members – certainly mirrored in the current outbreak. Meanwhile health officials continue to insist that “casual contact” cannot transmit Ebola ― precisely the same claim they’ve long made with TB. Then why did the CDC not mention TB, by name, in their short-list of possibilities that could cause Ebola-like symptoms? If such oversight stopped there it would be unremarkable, but it seems to have been carried over in the very design of the most recent CDC-approved tests to detect Ebola. In September of 1978, about 40 years ago, a team ― including a 27-year-old fresh out of medical school, who was training as a clinical microbiologist at the Institute of Tropical Medicine in Antwerp, Belgium, received a blue thermos from Zaire. It was filled with the two 5ml. clotted blood specimens of an African-based Flemish nun. The Belgium doctor who sent it, Jacques Courteille, practicing in Kinshasa, included a note saying that he was at a complete loss for the nun’s mysterious, yet deadly illness. Also, could the samples be tested for Yellow Fever? This thermos had traveled from Zaire’s capital city of Kinshasa, on a Sabena commercial flight to Belgium ― inside its deliverer’s hand luggage. When the samples were received, Peter Piot, the 27-year-old medical graduate and his colleagues, among other things, placed the blood samples under an electron microscope. To be sure Piot’s interest was virology and a virologist he would soon become, best known for his work on theorizing the ‘viruses’ behind Ebola and AIDS. To this effect he contributed heavily to the voluminous literature that HTLV-1 had a role in AIDS, which it did not. Nevertheless Piot would become a pioneer, and part of the group that included veterinarian Max Myron Essex in trying to define what AIDS was at WHO’s 1985 Conference in Banqui, Africa. Depends upon how you look at it. Figure 3. 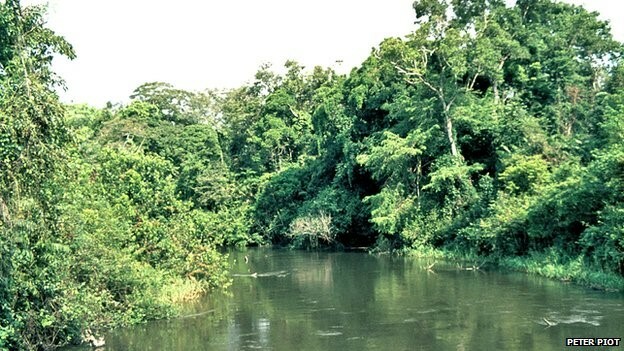 The Ebola River, Circa 1976. Piot’s boss, Stefaan Pattyn, who Piot admitted “could be a bit of a bully”, supposedly specialized in the study of mycobacteria ― tuberculosis and leprosy, yet seemed unaware of the hemorrhagic consequences of acute TB, nor had he taken the time to use special stains and cultures to detect its viral-like cell-wall-deficient forms. Instead Pattyn followed his current passion, shared by Piot. Pattyn had recently worked in Zaire for six or seven years and exotic viral illnesses were now “right up his alley”.11 So Pattyn’s team likewise never really considered a strain of acute miliary TB or its viral cell-wall-deficient forms in his rule-outs for an acute hemorrhagic or epidemic fever ― among them Mycobacterium tuberculosis and Mycobacterium africanum. The Ebola of its day on steroids, “galloping” acute consumptive tuberculosis could kill in days ― the mere memory of which, just a few generations ago, brought terror to the faces of those who had witnessed and were describing it. To Dubos12 “galloping consumption” was not an isolated, but a frequent diagnosis in the 19th and early 20th centuries. And despite persistent myths to the contrary, in the early phase of any new TB epidemic from a new and virulent strain, tuberculosis manifests itself as an acute disease and only much later as the chronic pulmonary tuberculosis that we know in today’s western world. An example of this can be found in the high mortality during the 1918 influenza pandemic, when African-Americans were brought to fight in France during World War I ― large numbers of them dying from a fast-tracked tubercular “galloping consumption”. 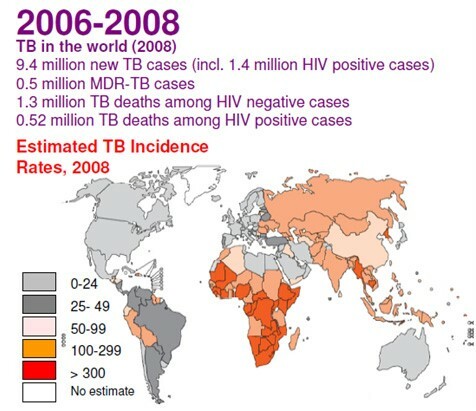 Many often underestimate the speed, contagiousness and ferocity of a TB epidemic. Khomenko’s 1993 study13 should have cemented the notion that the explosive contagiousness of just such Ebola and influenza-like viral forms of tuberculosis are exactly the stuff that previous epidemics and pandemics could have been made of. But it didn’t. In the US, the CDC and NIH seemed to feel differently, ignoring the historic possibility. There was much the same viral passion, at that time over “Influenza”, when in 1990, a new multi-drug-resistant (MDR) tuberculosis outbreak took place in a large Miami municipal hospital. Soon thereafter, similar outbreaks in three New York City hospitals left many sufferers dying within weeks. By 1992, approximately two years later, drug-resistant tuberculosis had spread to deadly mini-epidemics in seventeen US states, and was reported, not by the American, but the international media, as out of control. Viral forms of swine, avian and human TB can be transmitted from one species to another. So can exotic strains of tuberculosis and tubercular Mycobacterium africanum, imported into the United States through countries such as Liberia. By 1993 the World Health Organization (WHO) had proclaimed tuberculosis a global health emergency.14 That emergency has never been lifted. A fact initially carefully minimized by certain Ebola ‘authorities’ ― and clarified by Feldmann in the New England Journal (October 9th, 2014 issue) is that in the current Ebola outbreak “less than half” of the people infected have visible hemorrhaging.22 This was just enough to prompt some virologists to rethink Ebola’s designation from Ebola Hemorrhagic Fever, to the “Ebola virus Disease”. So much for “hemorrhagic fever.” Yet even then, in a 1978 publication of the Bulletin of the World Health Organization regarding the 1976 Ebola outbreak in Zaire it was admitted that hemorrhaging, although from “multiple sites” was “principally [from] the gastrointestinal tract”.23 But patients with TB spread to the gastrointestinal tract can also have fever, abdominal pain, and can have gastrointestinal/rectal bleeding that patients with Ebola can have. A Flaw in Diagnostic Test Design? Moreover, the design of present diagnostic tests for Ebola, in certain respects, don’t meet the sniff test. An August 6, 2014 article in the L.A. Times mentioned27 that an unapproved Ebola test-tube diagnostic assay, developed by the U.S. military, was just approved for use in the US under a special emergency-use provision. Critics claimed that the two PCR systems to be used for Ebola testing in such “emergency situations” were unapproved. But there is more. While an instruction booklet issued by the Food and Drug Administration28 showed impressive results for detecting and thereby being positive for known “Ebola” samples ― it sadly failed in its inadequate selection of those pathogen’s that might be cross-reacting and therefore making for false positive Ebola tests. Yes. The only problem being that a glance at Table 51 shows practically every bacteria in existence except for the one subset of pathogens “that potentially could be infecting the majority [of West Africa’s] population” and those pathogens are again ― Mycobacteria tuberculosis and its related Mycobacterium africanum. Such diversion is no trivial point. As time went by it became obvious that attempts were in the pipeline to link the pathogenesis of Ebola and AIDS, right down to their sexual transmission (a poorly kept secret is that TB can also be sexually transmitted30). So mistakes made during the AIDS probes would have to be avoided with Ebola. For example, in the past, as the first scientist to propose HIV-virus testing, veterinarian Max Myron Essex knew that tuberculosis and its allied mycobacteria gave a false positive for the HIV virus in his tests in almost 70% of cases. Such cross-reactivity between HIV and tuberculosis was so significant, that it forced Essex31 and his protégé, Congo physician Oscar Kashala, to warn that both the HIV screening test, the enzyme-linked immunosorbent assay (ELISA) and western blot results “should be interpreted with caution when screening individuals with M. tuberculosis or other mycobacterial species.”31 This, of course, automatically meant throwing away HIV serum diagnostics for, according to WHO, at least a third of the people in the known world that WHO (The World Health Organization) has proclaimed presently harbor tubercular infection. So why then was Mycobacterium tuberculosis noticeably excluded from the CDC’s Table 51 and not included in those pathogens tested for cross-reacting and therefore possibly giving false positive tests for the Ebola? Did the originally panel (Version 1) chosen by government scientists actually include Mycobacterium tuberculosis and related microbes in its design ― only to find that indeed these mycobacteria caused positive tests for Ebola as in the HIV affair? Did they feel that such results might muddy the waters, be too difficult to explain, and subsequently remove them? This is not known. Therefore are the HIV drugs working against an “Ebola” which is estimated to have killed well over 3,000 African’s so far this year, or the TB that killed 600,000 Africans in that same window? There still remains much work ahead to determine this. Antiretrovirals have major side effects. “We saw a gigantic worm like-structure ― gigantic by viral standards. It’s a very unusual shape for a virus” – Peter Piot. Figure 4. The Serpentine Form of the Ebola Virus. Magnification: approximately x60,000. To some it might be considered “worm-like”, to others serpentine. Figures 5A through 5G. 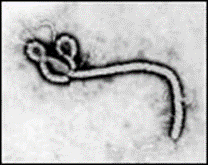 Which of the serpentine, worm-like forms above is the Ebola virus? The correct answer is Figure 5 F. Figures 5A, 5B and 5C are L-Forms (Or Cell-Wall-Deficient Forms) of TB Under the Electron Microscope. (Michailova, L et al. Morphological variability and cell wall deficiency in ‘heteroresistant’ strains. Internat Journ of Tuberc and Lung Dis, 9:,8, Aug 2005:.907-914:,911). Figure 5D. 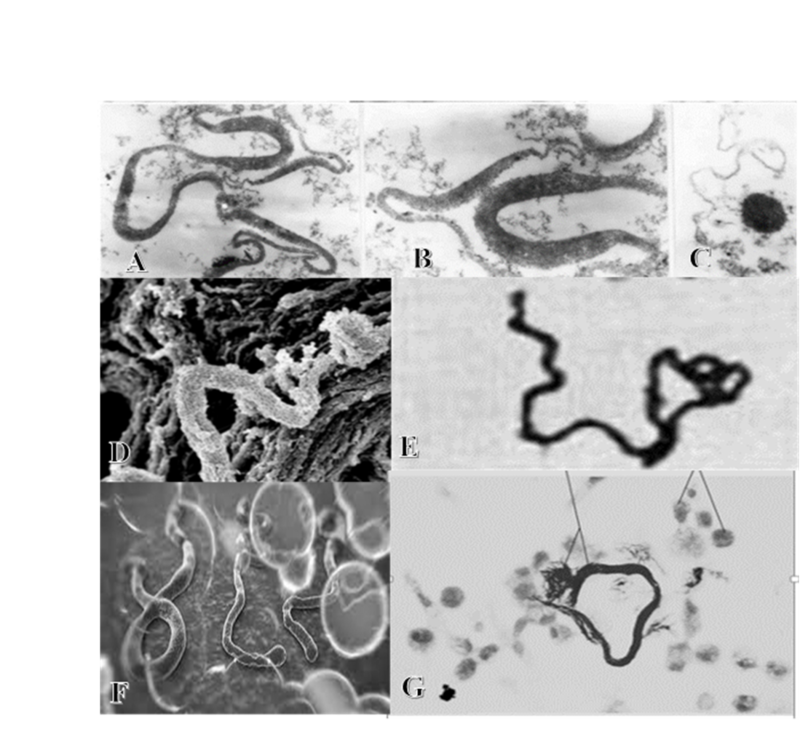 Worm-like lethal tubercular cords from an atypical TB under the Electron Microscope. (Julián E, Roldán, M Journ. Of Bact Apr. 2010 p.1751-1760. P.1756). Such virulent cords are also represented in Figure 5E (Darzins, E. The Bacteriology of Tuberculosis Minneapolis. 1958. 488pps. p296) and Figure 5G. Figure 6. Filamentous Cell-Wall-Deficient Forms of Mycobacterium tuberculosis. Figure 7. Filamentous Forms of the Ebola. Magnification: approximately x40,000. Micrograph from F. A. Murphy, University of Texas Medical Branch, Galveston, Texas. According to the WHO, close contact with the bodily fluids of people infected with Ebola, for example in hospitals or at burials, has in the past increased the risk of infection. Health workers have been advised to wear a mask and gloves.38 Yet physicians all masked and gloved up have contracted Ebola and Marburg. WHO’s statement is misleading. As far back as 1995 the ability of Ebola to aerosolize or spread through airborne transmission was reported, studied and confirmed.39,40 Ebola, is a communicable airborne infection, just like tuberculosis. It is felt that the new strain probably arrived in West Africa via infected straw-colored fruit bats from another part of Africa and seems to be related to that Zaire Ebola virus identified more than 10 years ago in the Congo. These bats migrate across long distances and are commonly found in giant colonies near cities and in forests. Fruit bats, however, are widely eaten in rural West Africa – supposedly as a delicacy. Previous Ebola outbreaks saw catastrophic death rates in gorilla and chimpanzee populations, which led some scientists to think that they were the ones responsible for the disease spreading. Old World monkeys are very susceptible to human and cattle tuberculosis. Unlike humans, monkeys have no natural resistance to the disease. When they do catch it from a human, it usually spreads very fast and fatally in their bodies (as in acute miliary tuberculosis) and to areas other than their lungs. During their illness, they can spread the disease to anyone who comes in contact with them or their waste. So what is the take-home message here? At best that “Ebola-like” does not always mean Ebola; at worst that Ebola does not mean Ebola. 2. World Health Organization. WHO: Ebola Response Roadmap Update. Oct. 17, 2014. 4pp. p. 1. 3. Ball, James. Concerned about Ebola? You’re worrying about the wrong disease, The Guardian. 2014, August. 5. Homolka et al. High genetic diversity among Mycobacterium tuberculosis complex strains from Sierra Leone. BioMed Central. 25 June 2008 p.1-8 p.1. http://www.biomedcentral.com/1471-2180/8/103. 7. Mattman, LH. Cell Wall Deficient Forms ― Stealth Pathogens 3rd Edition CRC Press Boca Raton 2001 416pp p. 189. 12. Dubos R, Dubos J. The White Plague: Tuberculosis, Man, and Society, Rutgers University Press, 1987, p. 205. 13. Khomenko AG, Muratov VV. Epidemiological risks of tuberculous infection foci in patients discharging L forms of Mycobacterium tuberculosis. Problemy Tuberkuleza i Bolezni Legkikh, 2,2–5 1993. 15. Anderson, M. Clinical Lectures On the Curability of Attacks of Tubercular Peritonitis and Acute Tuberculosis (Galloping Consumption). James Maclehose Publisher. Glascow. 56p. 1877. 16. Saleem A and Azher M. The Next Pandemic – Tuberculosis: The Oldest Disease of Mankind Rising One More Time. British Journal of Medical Practitioners, June 2013; 6 (1):a615. 18. Fox,W. A treatise on Diseases of the Lungs and Plueura. Coupland, S, editor. J.&A. Churchill. London. 1891 1200 pp. 19. Appleman LF. Massive spontaneous hemorrhages into the vitreous Am Journ of Ophth. Vol. 1 No. 1, January, 1918. P24-28. 20. Burnett CH. A Text-book on Diseases of the Ear, Nose and Throat. J.B. Lippincott. 1901. 716pp. 21. Kasper DL, Braunwald E, Fauci AS, Hauser SL, Longo DL, Jameson JL, Casademont J. Harrison’s Principles of Internal Medicine. 16th Edition. 2004. McGraw-Hill Professional Publishing. 2680 pp. 22. Feldmann H, Ebola ― A Growing Threat? N Engl J. Med 371;15. p1375-1378 p.1374; October 9, 2014. 25. Saleem and Azher; op. cit. 27. Morin, M. FDA authorizes Ebola test; vaccine will probably take until 2015. Aug 6, 2014. http://www.latimes.com/science/sciencenow/la-sci-sn-ebola-vaccine-20140806-story.html. 29. Ibid., p.53 Table 51, pp. 69-70. 30. Broxmeyer, L. AIDS: What the Discoverers of HIV Have Never Admitted: Latest Edition. 2014, July. 142 pp http://www.amazon.com/AIDS-Discoverers-Admitted-Latest-Edition/dp/1495457044/ref=sr_1_fkmr0_3?ie=UTF8&qid=1412347161&sr=8-3-fkmr0&keywords=Lawrence+Broxmeyer+AIDS%3A+What+the+discovers+of+HIV+have+never+admitted. 31. Kashala O, Marlink R, llunga M, Diese M, Gormus B, Xu K, Mukeeba P, Kasongo K, Essex M. Infection with human immunodeficiency virus type 1 (HIV-1) and human T cell lymphotropic viruses among leprosy patients and contacts: correlation between HIV-1 cross-reactivity and antibodies to lipoarabinomannan. J Infect Dis. 1994 Feb;169(2):296-304. 36. Dubos and Dubos, op. cit. 37. Chauhan A, Madiraju MV, Fol M, Lofton H, Maloney E et al. Mycobacterium tuberculosis Cells Growing in Macrophages Are Filamentous and Deficient in FtsZ Rings J Bacteriol. Mar 2006; 188(5): 1856–1865. 39. Johnson E, Jaax N, White J, Jahrling P. Lethal experimental infections of rhesus monkeys by aerosolized Ebola virus. Int J Exp Pathol. 1995 Aug; 76(4):227-36. 40. Jaax N, Jahring P, Geisbert T, Geisbert J, Steele K, McKee K et al. Transmission of Ebola virus (Zaire strain) to uninfected control monkeys in a biocontainment laboratory. Lancet. 1995 Dec 23-30; 346(8991-8992): 1669-71. 42. Kaufmann AF, Moulthrop JI, Moore RM: A perspective of simian tuberculosis in the United States—1972. J Med Primatol 4:278–286, 1975. 45. Griffith, A.S., “Tuberculosis in Captive Wild Animals”, J. Hyg. (Lond.) 1928 Nov; 28(2):198-218. 46. Hamerton, A.E., “Report on the deaths occurring in the Societies gardens during 1930.” Proc. Zool Soc. Lond. 1931: 101:527-555). 47. WHO, “WHO: Ebola Response Roadmap Update. 10 October 2014 http://apps.who.int/iris/bitstream/10665/136161/1/roadmapupdate10Oct14_eng.pdf?ua=1. Broxmeyer, L. AIDS: What the Discoverers of HIV Have Never Admitted: Latest Edition. 2014, July. 142 pp. Tags: acute miliary tuberculosis and Ebola, AIDS, AIDS similarity with Ebola, antiretroviral effect of tuberculosis, antiretroviral toxicity, antiretrovirals, cross-reactions between the mycobacteria and ebola in diagnostic testing, Differential Diagnosis of Ebola, Does tuberculosis work synergistically with Ebola. clinical similarities between TB and Ebola, Dr. Lawrence Broxmeyer, Ebola or Acute, Febrile, fever of unknown origin, galloping consumption, hemmhoragic properties of acute miliary TB, Hemmhorahic, History of AIDS, history of ebola, HIV, Is Ebolla a form of CWD tuberculosis?, Lawrence Broxmeyer, Lawrence Broxmeyer M.D., Lawrence Broxmeyer MD, The Ebola Epidemic, Viral-Like Tuberculosis?